FilConn Connector Savers are a great way to maintain the integrity of any connectors that are subject to extreme use and repetitive mate and de‐mate cycles. Many test systems may see as many as 500 mate/de‐mate cycles and using our Connector Saver will save you time and money by maintaining a low usage on the primary connector interface and absorbing all the abuse with the saver. 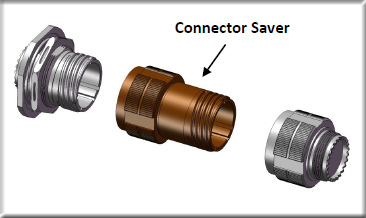 Filtered Connector Savers are also available and a great way to manage any unexpected noise without having to redesign your system to add a filter.